The death toll from the strong earthquake that rocked Hokkaido last week has risen to 39, authorities said Sunday, as work to restore air and land transport as well as water and power supplies continues. 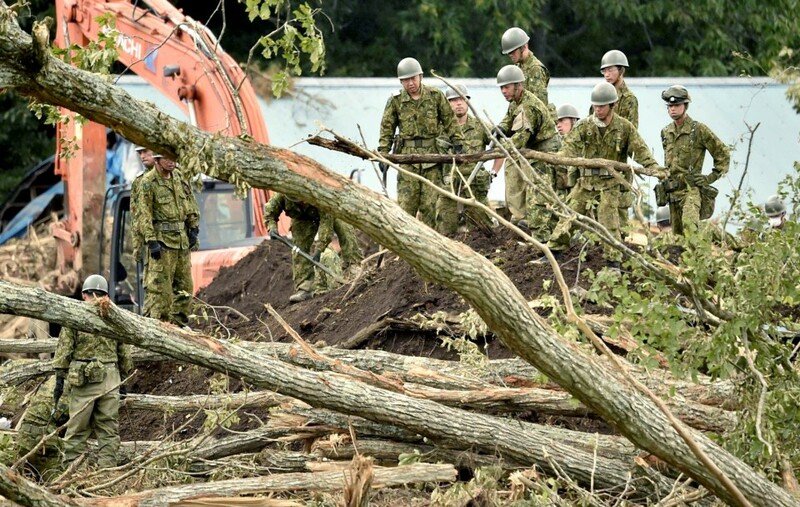 More than 7,000 Self-Defense Forces members and other emergency service rescuers are continuing to search for one last missing person in the town of Atsuma where massive landslides buried houses following the magnitude-6.7 earthquake on Thursday. Hokkaido Railway Co. has resumed some express train operations that had been fully suspended. Also Sunday, Prime Minister Shinzo Abe visited Hokkaido, Japan's northernmost main island, to assess the extent of the damage.